Today is surgery day for me, and although I've had quite a few minor surgeries, nothing quite as complicated or long as this one, both the procedure itself and the recovery. Here are some items related to my impending doom upcoming procedure. UPDATE: Good news... I didn't die! I'm home and typing one-handed. And they gave me my "happy juice" in time to enjoy the relaxation for few minutes before surgery. Bad news... in addition to the impingement, bone spur, and arthritis, the Dr, had to reconnect my bicep tendon where it tore. Longer recovery. My nerve block hasn't worn off but will soon, and I'm dreading the pain, but the surgery was successful. Thanks for prayers! 1. I thought I was going to get away without doing pre-op blood work, but no such luck. Just fifteen hours prior to surgery, I had to go get it done. 2. They required me to do blood work, of course, but I also had to do an EKG and a chest x-ray. 3. I don't know why they have you go in at ungodly hours: 5:15 AM. I will probably sit and wait for two hours. 4. There is going to be a little camera in my body during surgery. I know it's common, but it just sounds weird! 5. About 1.4 million arthroscopic surgeries are performed each year. And why does it say "performed?" Wouldn't it be better to say completed? 6. I had no idea what an impingement was until I looked it up. 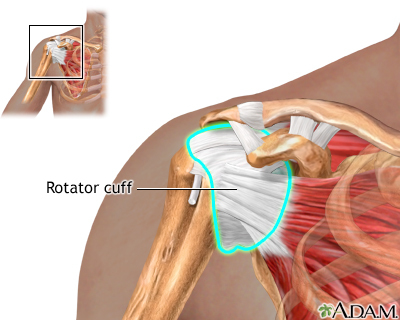 When you raise your arm to shoulder height, the space between the acromion and rotator cuff narrows. 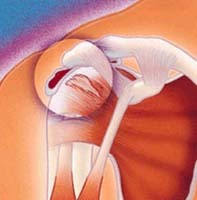 The acromion can rub against (or "impinge" on) the tendon and the bursa, causing irritation and pain. It may or may not be the result of a car accident 15 years ago in which I broke a bone in my shoulder. 8. I also have arthritis in the shoulder. 9. My MRI suggests there are two possible tears in the front and back of the rotator cuff tendon. They may or may not require a stitch. If they do, I'm in for a longer recovery. 10. Recovery is what scares me most. I'm not accustomed to depending on others to do things for me, but I will have to. Under no circumstances may I remove the sling in the first three days. After three days, only for showers and getting dressed for up to six weeks. 11, On the papers I signed, the first side effect of surgery that was listed was... death! Yeah, I know that's always a side effect, but did they have to list it first? 12. I hope they give me the Versed in time to enjoy its anti-anxiety and relaxing effects for a few minutes before surgery. Last time I had surgery, they gave me the Versed and wheeled me directly back. No time to enjoy the "happy juice!" Versed also causes temporary loss of memory. Considering I'm Forgetfulone, I'm kind of used to that! 13. Did you know that people who get motion sickness are more likely to have post-op nausea? I get sea-sick on cruises and motion sickness if I'm in the car too long. Nah. It's going to hurt, but I will be okay. If you're a praying person, please say one for me today. Surgery is in a few short hours. You can link up with Thursday Thirteen, too! Best of luck. I may need this same procedure in the fairly near future myself. Ommmmmm. I hope it all goes well for you. Good luck! Any time you are going to be put under for awhile after a certain age or health conditions your heart is tested to see if your heart can take it. Good to know you have a strong heart. It is okay to rely on others at times. It allows them to feel wanted and show you how much love they have for you too.